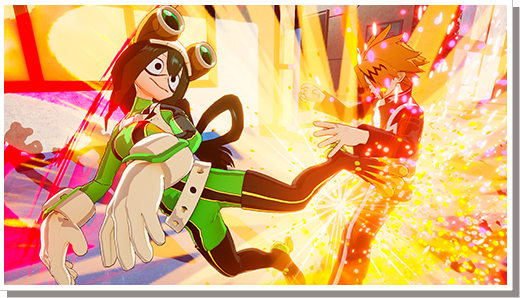 More has been revealed for My Hero Academia: One’s Justice, the upcoming fighting game from Bandai Namco based on Kōhei Horikoshi’s popular action comedy manga, My Hero Academia. 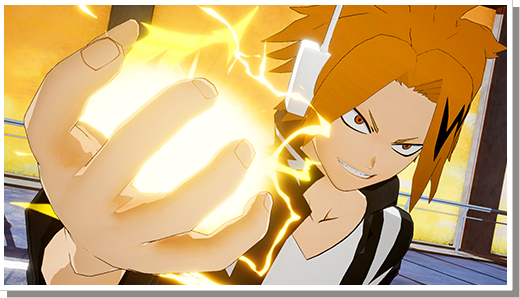 The list of characters continues to increase with three more students from Class 1-A joining the roster. 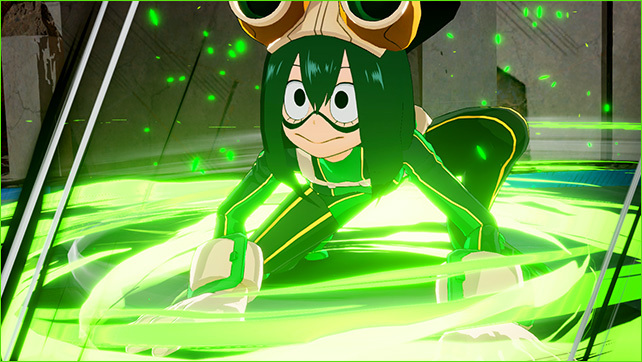 Tsuyu Asui is hopping her way in battle with her unique Quirk, “Frog”, which grants her superhuman leaping abilities and the ability to stick to nearly any surface. 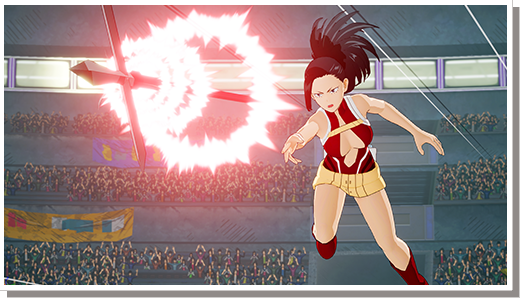 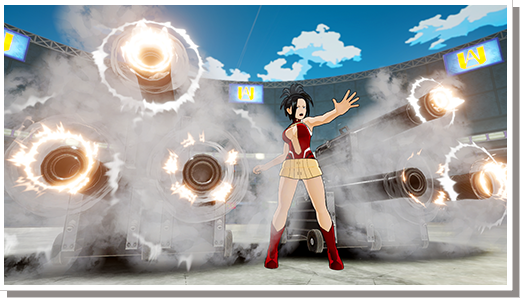 Class president Momo Yaoyorozu brings her “Creation” Quick into battle. 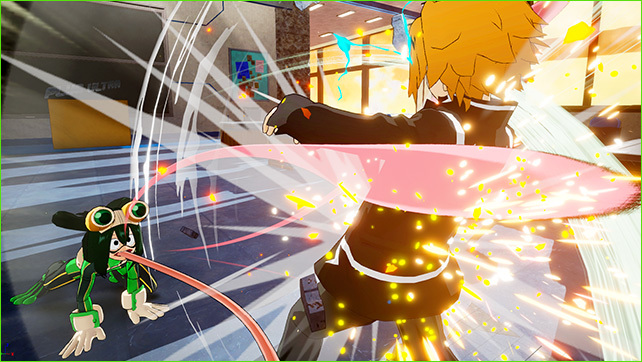 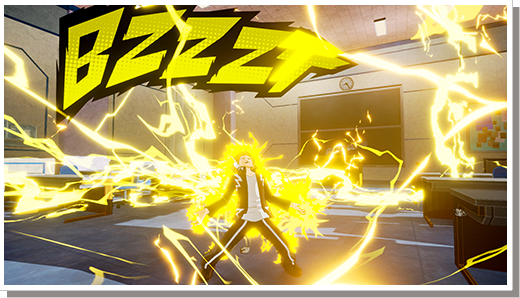 And rounding out the list is Denki Kaminari and his “Charge” Quirk which lets him absorb and discharge electricity. 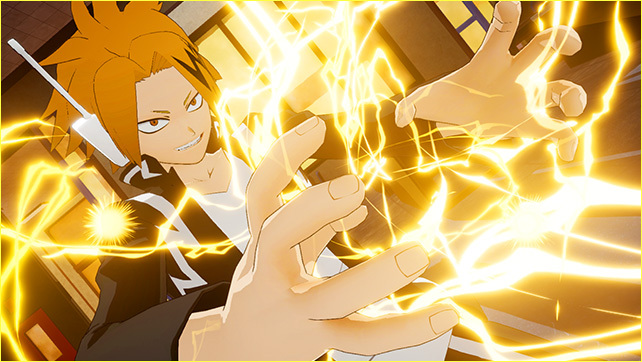 My Hero Academia: One’s Justice is expected to be released this year for PlayStation 4, Nintendo Switch, Xbox One and PC.